mid to late 1970s. 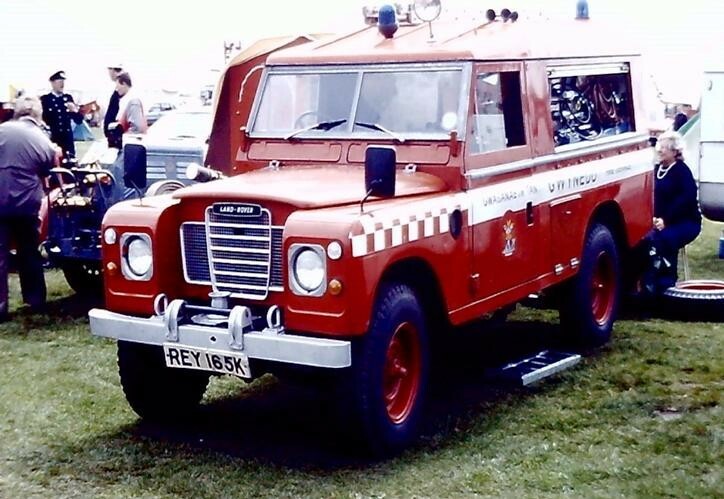 Use of Land Rovers for control units is rare as they are a bit small for the role - she was allocated to Llangefni in 1972 and was Anglesey Fire Department's Rescue Tender due to the amount of serious light and heavy RTC's that occurred on the main A5 trunk road. Transferred to Caernarfon in 1978. Not sure of bodybuilder. photo from late Alastair Collins collection. Used with permission.